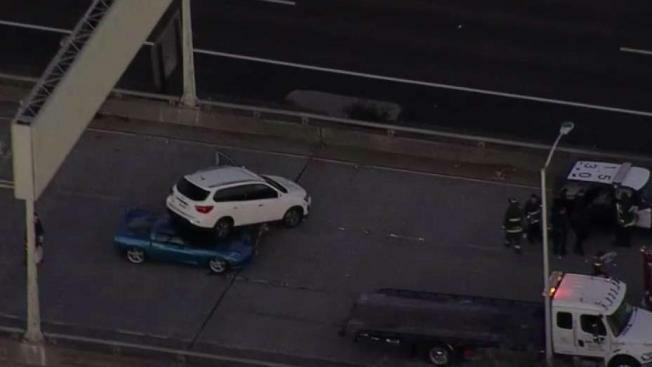 A major injury accident at the end of a police pursuit shut down the connector ramp from Highway 24 to Interstate 580 in Oakland late Wednesday, according to the California Highway Patrol. Oakland officers were chasing a vehicle, and the vehicle crashed into a number of other vehicles, the CHP said. A suspect was taken into custody at the crash scene. A Sig-alert was issued at about 6:15 p.m. The CHP estimated it would be closed for about 30 minutes but advised using alternate routes. CHP and Oakland police were investigating the scene.